Clearing things out is not my forte, actually I fall into the category of the worlds worst hoarder. It's something that drives me mad, how I wish I could be more ruthless and get rid of things that I no longer use. My wardrobe bulges with clothes that I have never worn, or worse still have convinced myself that one day I will fit back into. Why do I feel such an attachment to them? They don't hold sentimental value but the thought of getting rid of them is incredibly difficult. I have yet to give into the hype and start reading Marie Kondo's - 'The Life Changing Magic of Tidying' for fear that it will be another book that clogs up the shelves but doesn't change any of my bad habits! Or maybe it is the fear that it actually might change my ways and make me tidy. Has anyone read it? Has it helped? Unfortunately my makeup bag is no different, I have makeup squirrelled away from years ago. In some cases when I was a teenager! Some bits I use regularly and other bits have been sitting there collecting dust and taking up space. For the most part I have my favourites that I use time and time again. Due to the frequency that I use these makeup items they get replaced fairly regularly, other items however have been in my makeup bags for years with long since passed expiration dates and in some cases have gone off. So this month I decided enough was enough. I went for a massive clear out getting rid of anything that I don't use and items that have gone out of date. 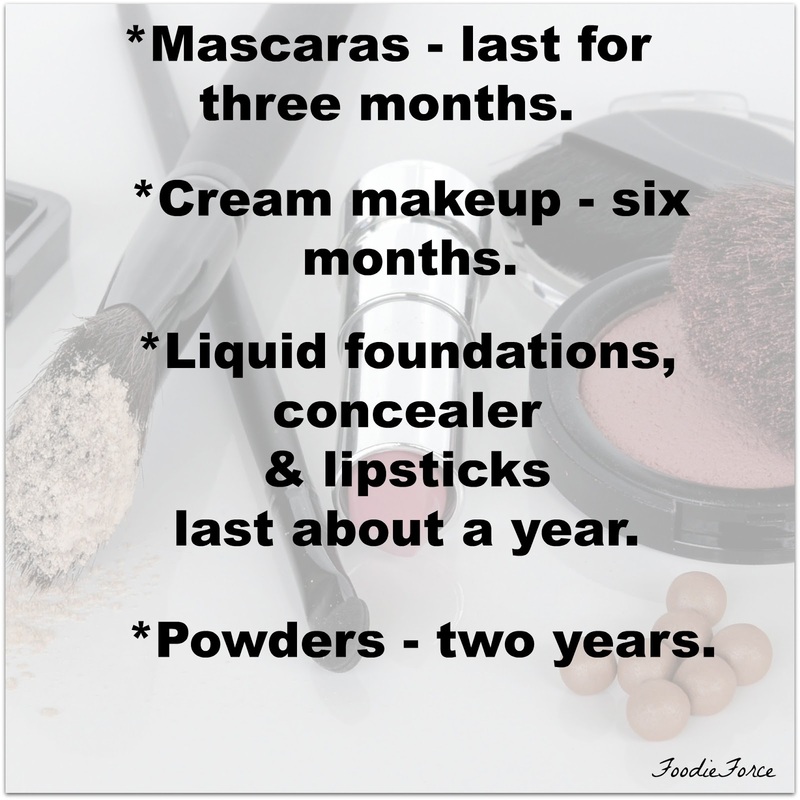 If like me you were unsure what makeup goes off here's a quick list. Mascaras - last for three months. I simply won't tell you how long I have had some of mine. The reason to replace them is they collect bacteria and then your putting them near your eyes. Yuck! Cream makeup (BB creams, cream foundation, cream compacts) - six months. Liquid foundations, concealer and lipsticks last about a year. Powders - face and eye shadows generally will keep for up to two years. Tidying up was actually very therapeutic throwing away makeup that I no longer use has left me with very little makeup and a great excuse to be able to update it and buy some new bits. As a new mum finding time to do my makeup is a luxury, so anything that is quick gets my vote. The new Charlotte Tilbury Instant Look In A Pallet - 5 minute face on the go (£49). 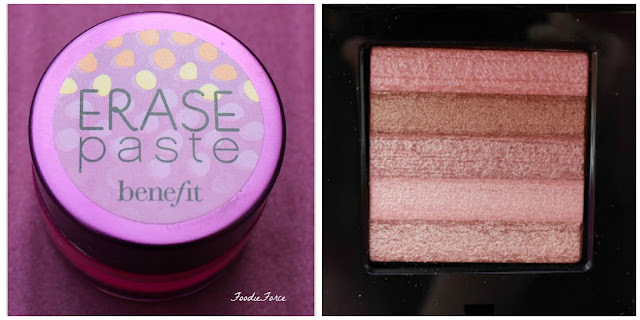 Eye Brighten, Eye Enhance, Eye Smoke, Face Bronzer, Cheek Swish, Cheek Pop, Face Highlighter. This was a great purchase, it's so easy to use and I will most definitely be repurchasing. Charlotte Tilbury Film Star Bronze and Glow (£49). First of all I have to take a minute for the beautiful rose gold packaging. 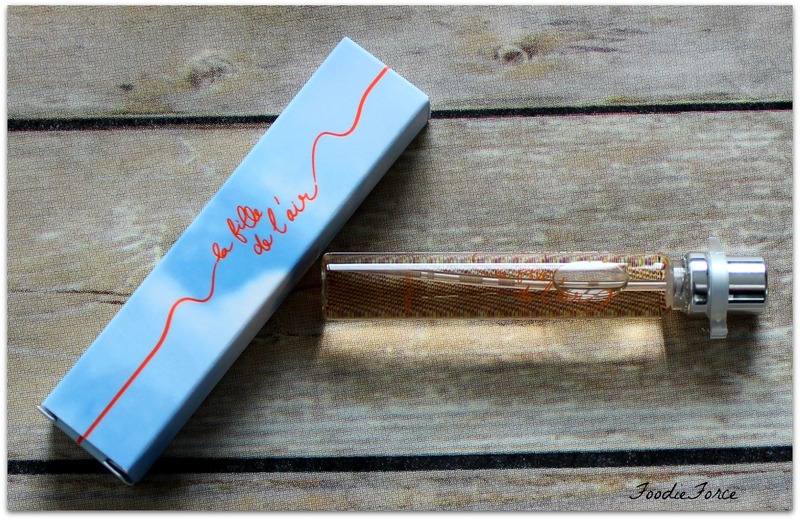 Charlotte really does know how to package makeup in a luxury vintage design. I have always steered clear of bronzer for fear that rather than looking sculpted and highlighted I would look like an Oompa Loompa. I shouldn't have worried this is contouring made easy, the contour is build-able so you can have as little or as much as you want. The highlighter adds a beautiful candle lite tones to cheeks. A little of both products goes a long way so this will last ages. 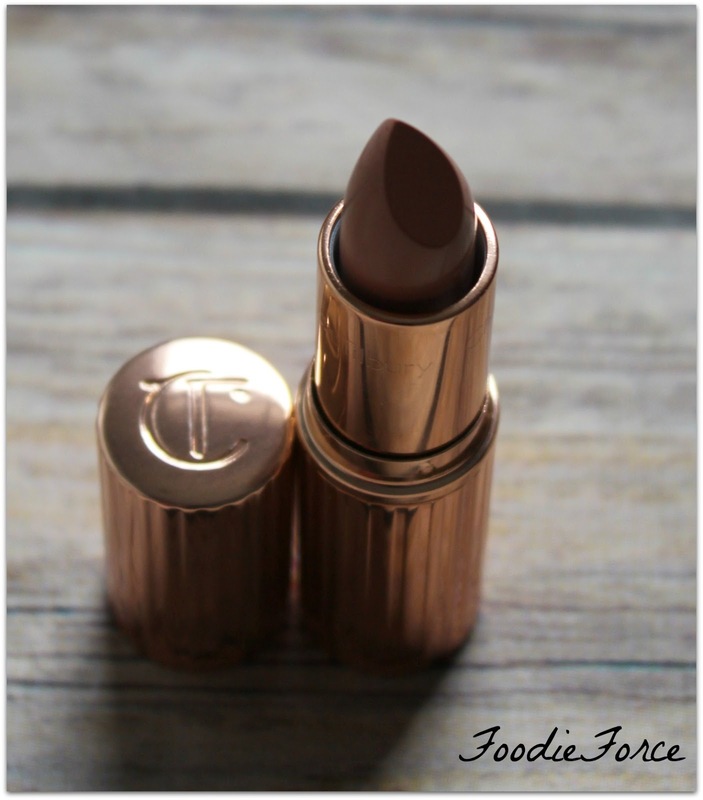 Charlotte Tilbury Lipstick Penelope Pink (£23) - The Kissing range is Charlotte's signature collection of 10 lipsticks from nudes to reds. The colour and texture of this lipstick is lovely. The pigment lasts and I can easily wear it for the day and it transitions for night. The best bit for me is it's enriched with anti-oxidants that naturally protect from UV damage. As someone allergic to sunlight this is definitely a plus point. 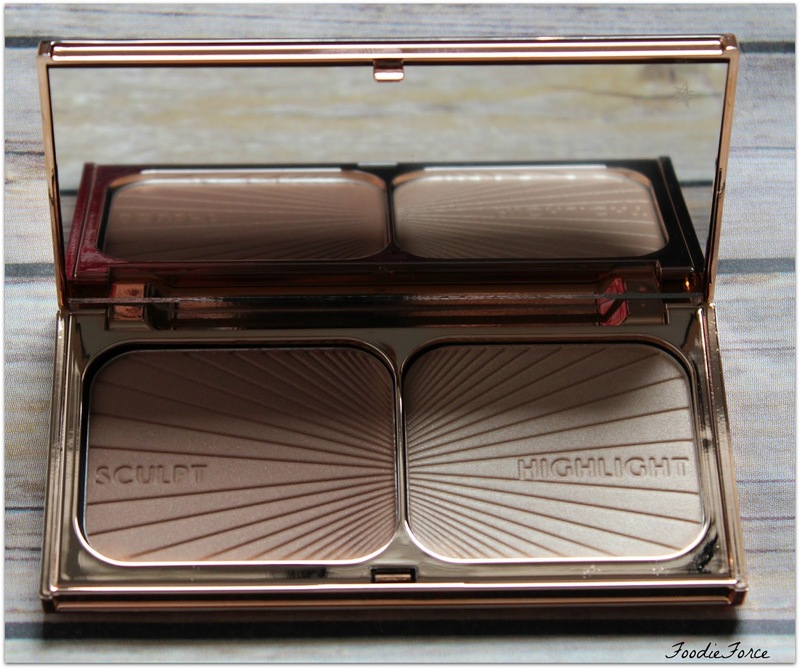 Hourglass - Ambient Lighting Palette (£59). Having dry skin it can be difficult to find a powder that doesn't take moisturiser out of my skin. 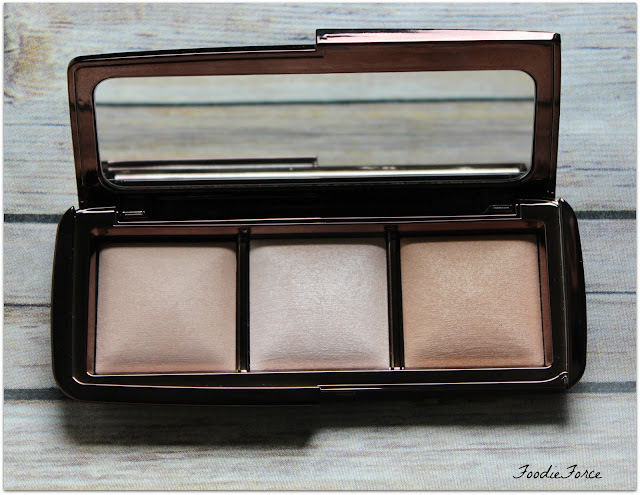 The Ambient Palette has a trio of powders in incandescent, dim and radiant light. These powders are beautiful they go on easily and are so versatile. I have so far used them as setting powers, highlighters and eye shadows. The only thing I would say is that they are very shimmery so if you don't like glittery makeup then this one maybe isn't for you. I'm really happy with my new makeup purchases, they are long overdue but have definitely been worth the wait. 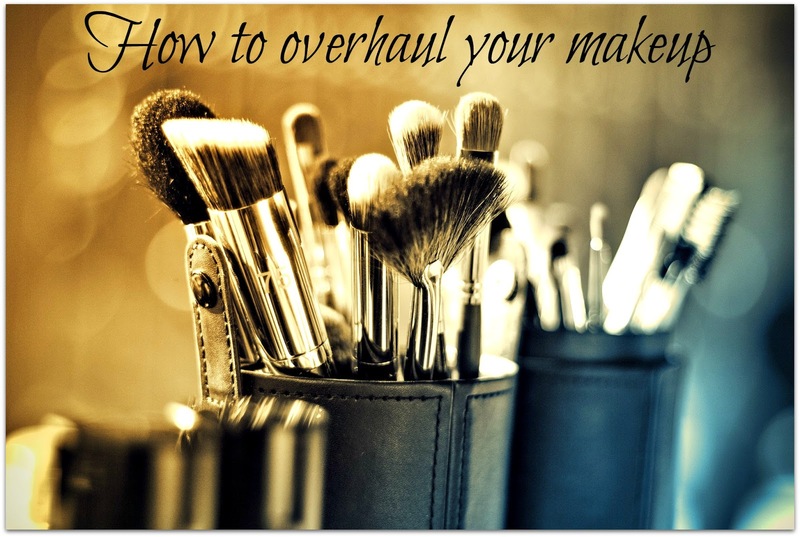 Are you a makeup hoarder? Has this post inspired you to want to have a clear out? If you have any good tips or advice on being a minimalist share it in the comments below. This post marks the end of my six month subscription to My Little Box. 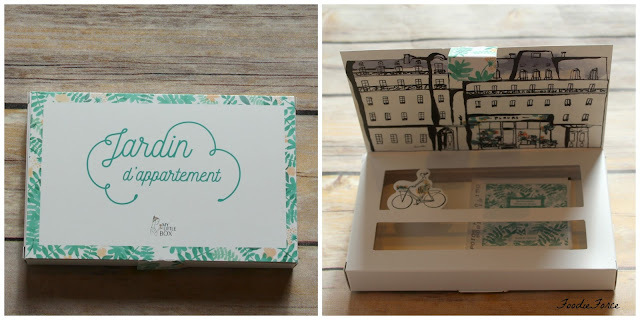 For those of you who haven't heard of My Little Box, it's a monthly subscription box from France that shares the best beauty, fashion and lifestyle picks delivered right to your door. 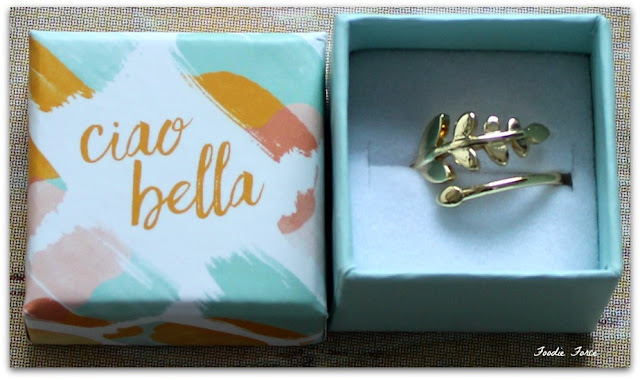 This post is a review of April and May's subscription boxes. 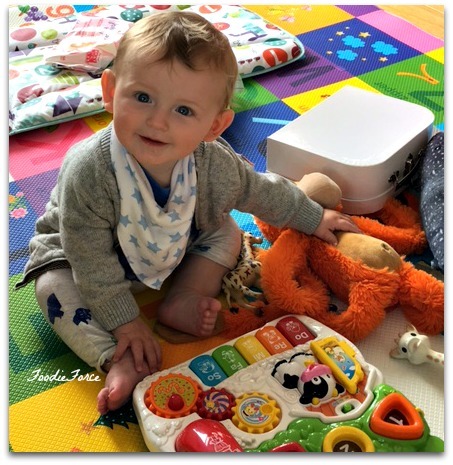 Sorry that they are late, but Noah is currently teething and finding any time to do anything is proving really difficult. Who would have thought that teeth could cause such havoc! More havoc is on the way as Noah is now on the move! Yes life is about to change forever the little man is into everything and nothing is safe. As a baby begins crawling you suddenly see your calm tranquil flat as a lethal danger zone. My little box being one of them, now sitting on a slightly higher shelf. Well on with the review. April's subscription box was themed around "Flowers", supposedly celebrating the change in season. Although in the UK we haven't seen much sunshine just rain. The items for this months offerings came in an illustrated book design, tied with a lovely ribbon at the side. Personally I liked the alternative packaging, it's a nice touch and means that the box can be reused to store other goods. I plan on using mine for nail varnishes. Living in a flat in London growing plants and flowers is a bit of a logistical challenge. So the inclusion of this pretty small pop up garden (£7) was lovely. I look forward to seeing if anything will grow. The addition of a travel pouch designed in collaboration with Balzac Paris for lingerie (£13) is perfect for carrying my underwear on holiday or as a bikini bag. I love how all the illustrations throughout tie together with each product. My Little Box as a rule generally include lots of their own beauty products (not a bad thing), but this month I was pleased to have two products from alternative brands to try out. I love products that are citrus or floral in scent. So when I saw this L'Occitane's cherry blossom trial size body wash (£15), I was pleased and looking forward to trying it out. Oh my, this shower gel smells divine and is a definite repurchase. The scent is clean, fresh and lasts all day. Now I know some people don't like sample sizes in subscription boxes but for me they are the perfect size for taking away. As a rule I don't buy base coat nail varnishes, so the inclusion of the Nails inc Base Coat with Kensington Caviar polish (£15) was at first a little disappointing. But having tried it I take it back. Using this base coat before my normal nail varnish I'm pleased to report makes my nail varnish last longer, definitely less chipping and secondly my actual nails feel more nourished. 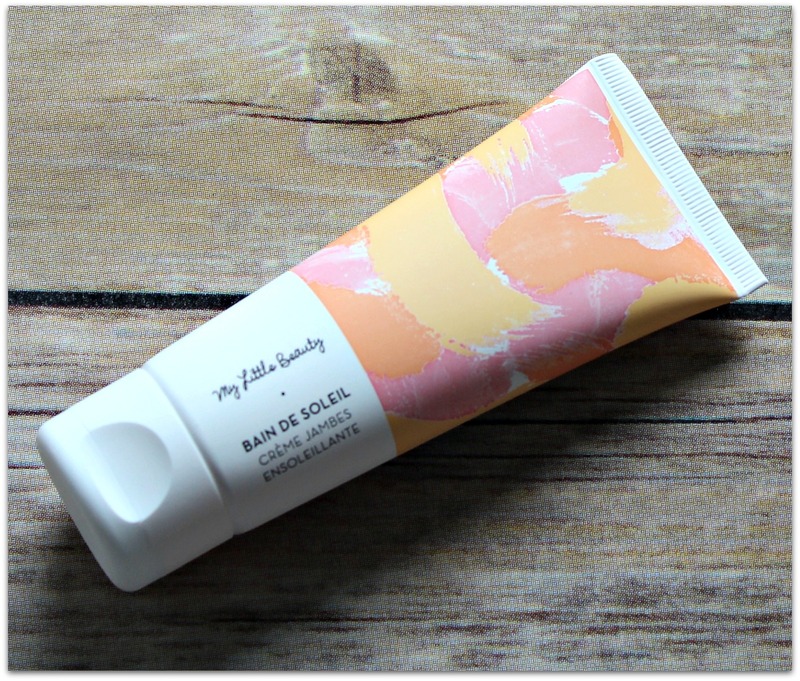 The last and final product in the box was the My Little Corner Rosy Mornings Detoxifying mask (£11). High in vitamin C this is the perfect mask to freshen up your face for summer. I personally prefer a thicker consistency in a mask so that I can see where it has been applied. So onto May's box, which for me was the best box I have received out of my six month subscription. I absolutely loved it. 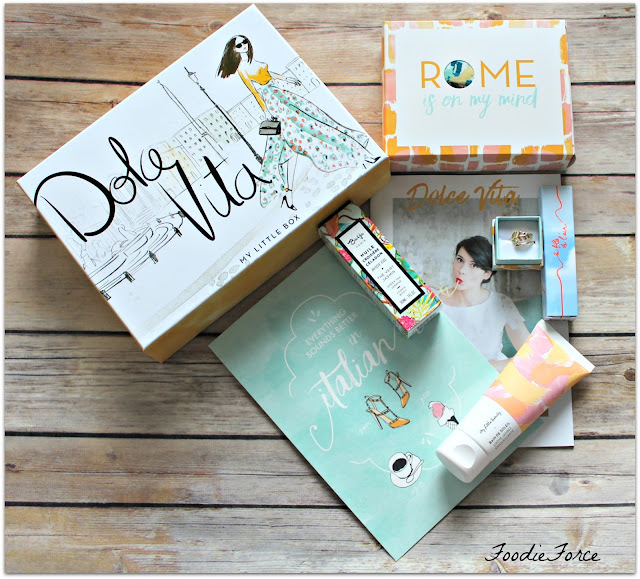 Slightly ironic that this French company produces an Italian box celebrating the best of Italy. After Brexit, I don't think we'll be seeing a celebratory English box soon. First up in the box was what the My Little Box team have termed a turban! Its a headband (£11). 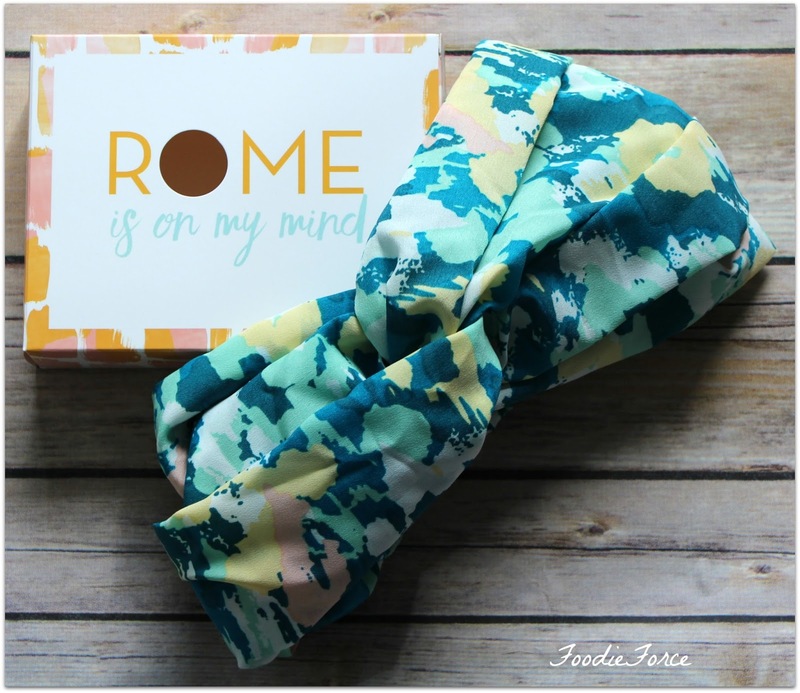 Now this will very much be down to personal taste as to whether you like this headband. I personally loved it, but it has had mixed reviews. I like that the box has some ideas for the different ways in which it can be worn and the pattern is really pretty. I will definitely be using mine when on holiday on the beach and around the pool. 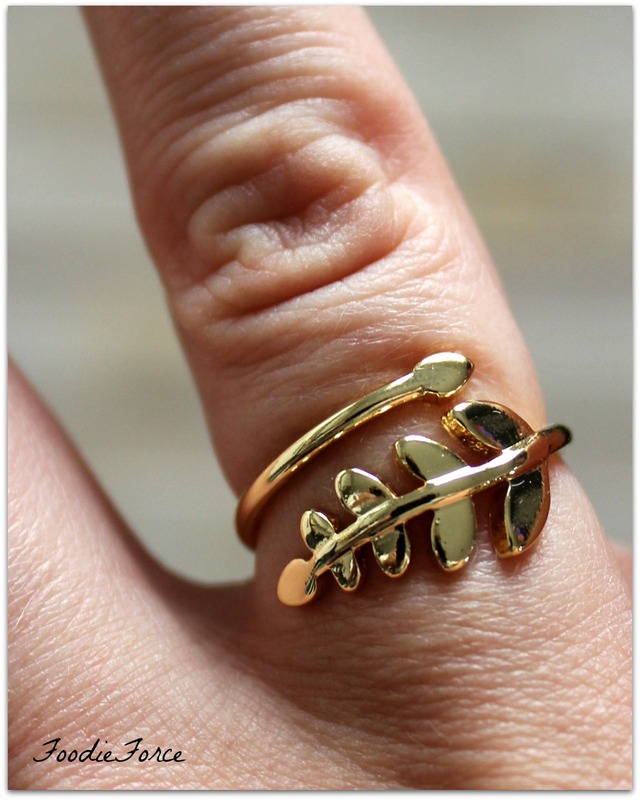 One of my favourite items out of this months subscription box has to be this leaf ring (£12). Whilst this obviously isn't gold, as a dress up ring I really like it. I've worn mine constantly since I got it and I'm pleased to report no horrible reaction so it must be nickle free and my finger hasn't gone green. Well not yet anyway! 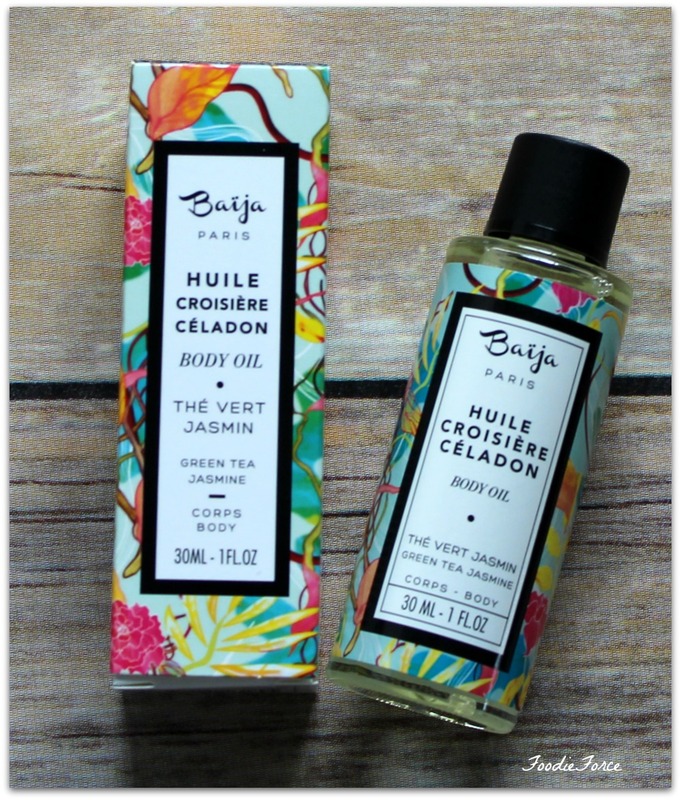 Croisière Cèladon body oil Baija (€16.90) a semi-dry oil with a lovely delicate scent of fragrant green tea and jasmine. I really like the delicate scent that this product has, which is lovely and refreshing. I have used mine both as a perfume and as an oil to moisturise my skin before a shower. The Little Corner product this month was the Summer Sunbathing illuminating moisturiser for legs (£8). I can't say that I use fake tan mainly for fear of turning into an orange Oompa Loompa. But this is a gradual self-tanner for the legs. I'm working my way up to using it so can't comment on how good it is. However, it does smell of sweeties, so thumbs up there. The final product included in the box was the La Fille de l'Air (€69) from France's legendary House of Courrèges. definitely be purchasing a bottle. This post marks the end of my subscriptions and I must admit I am quite sad to see it come to an end, the monthly boxes have been lovely and I've really enjoyed the variety of products that have come in each box. What would be your favourite item? Any suggestions for an alternative subscription box to try? My Little Box is a fashion, beauty, and lifestyle subscription delivered straight to your door for £11 (+ £3.95 PP) per month.